Originally from NYC but spending her formative years in Connecticut, Valeria Hough-Cohens moved with her husband and youngest daughter to North Carolina in 2013. She has been the School Leader at Field of Dreams’ Indian Land, SC location since 2014. Valeria or “Val” as she prefers to be called has 20 years of experience in the early childhood setting as both a preschool teacher and as an Administrator. She has taught in both CT and NC preschools. 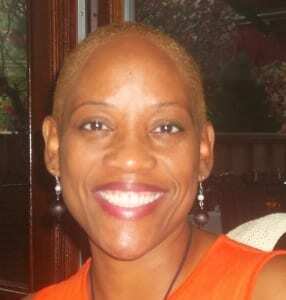 Additionally, she has served in numerous preschool management roles in CT and SC. Val’s preschool background includes teaching in play-based; balanced-learning; school-readiness; and NAEYC-accredited schools that were private or community-based. Val has her Bachelor’s degree from the University of Bridgeport. She has her Level III Administrator credentials for the state of North Carolina. She is dedicated to Field of Dreams philosophy and mission and looks forward to working with the rest of the management team to ensure Field of Dreams continued success. Val has been married to her husband Odell for the past 11 years and they have a blended family of 6 children. In her spare time, she enjoys reading, spending time with her children and her husband, traveling, and also delves into aromatherapy which is a hobby she has enjoyed for the past 15 years.